Oodles of Opportunity and a perfect Starter Home with a BRAND New AC that's ready to make your OWN with NO FLOOD Insurance required! 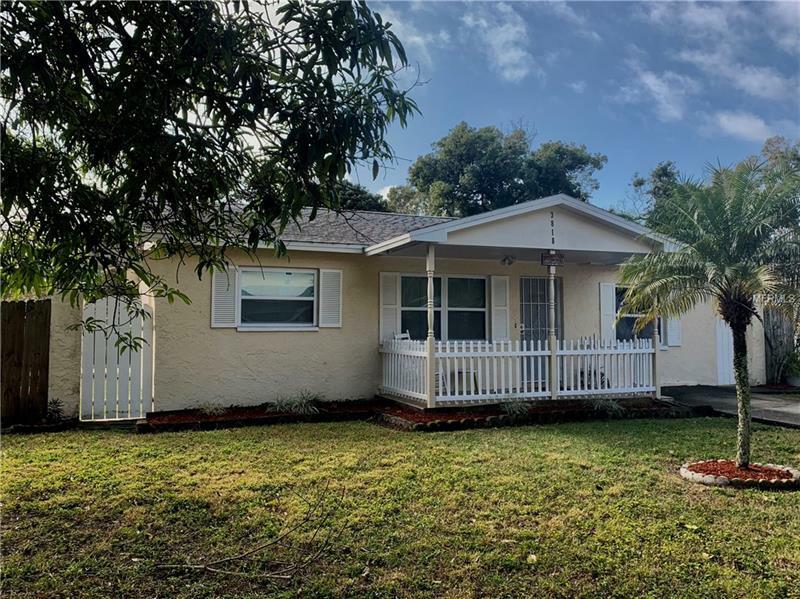 This Freshly Painted 1539sf 3Bdrm/2Bth Block home also features newer Double Pane windows in unincorporated St. Petersburg is on a large fenced corner lot in an up and coming neighborhood with brand new construction across the street! A large tiled Living Room greets you and you walk through the front door that flows in to the Great Room which combines the Dining/Family Ready for move in. Offered at $187500. CASH w/ Quick Close is always a plus! Needs a little love imagination and elbow grease!